Ok, Nice! It is coming out great so far. I really like it and the connection between the social issues. Thank you for the service and I really appreciate it. 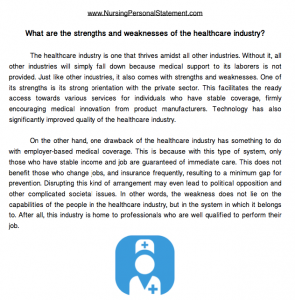 Why Is Your BSN Personal Statement so Important? When you apply to study for a Bachelor of science in nursing you are going to need to provide an application that makes you stand out from your competitors. Places are limited and it is tough to actually get into your chosen program unless you are seen as an outstanding applicant with an impressive nursing personal statement. The panel making the decisions, however, is not only going to base their decisions just on your grades, but they will also want to know far more about you as a person which is where your nursing personal statement comes into play. Writing nurse essay is your opportunity to impress the panel and if written well it will often sway any decisions in your favor. 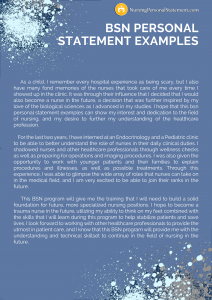 Explain why you want to study nursing; explain when and why you became interested. 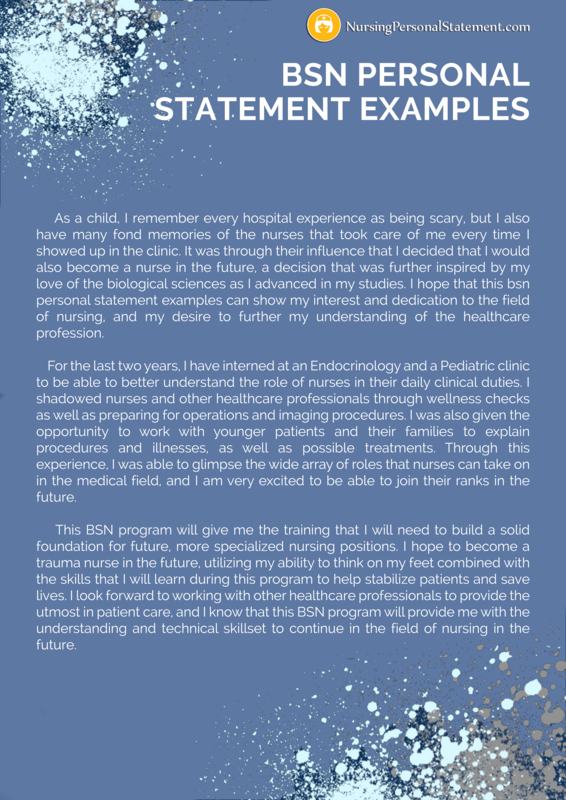 Explain where you see your career taking you in the future; do you plan additional education after your BSN? Show that you have the skills that the nursing program requires. Give any specific reasons you have for wanting to attend their program; the more specific you can be the more likely they are to treat your application favorably. If you don’t have the time or you are not sure what you should be writing then our professional writing services can help with your personal statement. 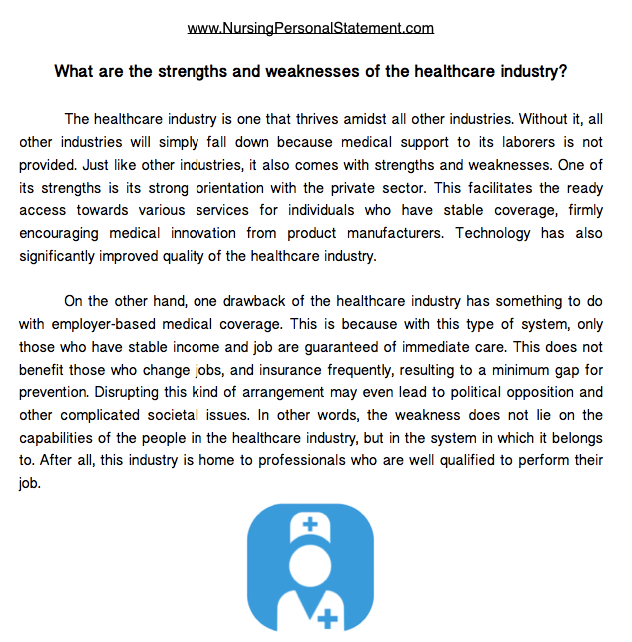 All of our writers are higher degree qualified in a relevant nursing field and have many years of experience in helping applicants such as yourself. Through us you will receive a personal statement for nursing degree application that is completely unique and written without errors. So if you need reliable help that always delivers on time just contact our experts for writing your BSN personal statement to perfection!